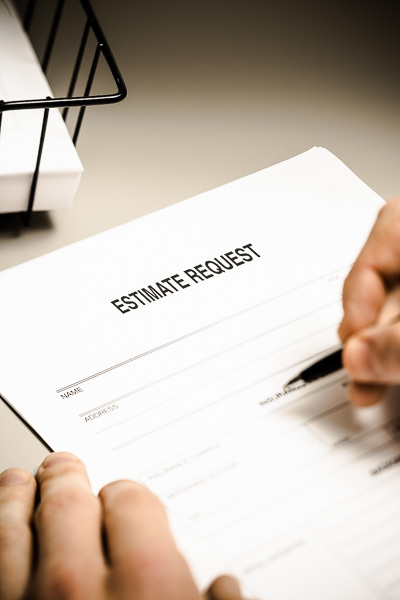 Over the years I have had a variety of solutions to try to support the process of asking all the right questions one must ask in order to put together a proper estimate. For a long timeÂ I had used a form I created in Microsoft Office that had space for most of the pertinent information. I would print up a stack and have them sitting next to the phone ready to go. A few years ago in my effort to be â€œpaperlessâ€ I incorporated that information into my CRM (Daylite) as an embedded form I could pull up and fill out as I was talking to someone. But inevitably there would be questions I would ask that the client had not thought about, or did not have the answer to, and they would have to go away and talk to the other parties involved, in order to obtain the answers and â€œget back to me laterâ€. There is no one size fits all solution, as each shoot has its own unique factors to take into account. But for me with the types of projects I shoot, there are some basic questions that go a long way to getting most of the needed information for any given project, and from there it is usually a simple email with one or two follow-up questions that get us the rest of the details needed in order to provide our clients with a spot-onÂ estimate. Recently I decided to create an online questionnaire that addressed the common key points and was readily available to my clients so that they could more efficiently collect the answers before making the initial request from us for an estimate.Â Â It has been a big hit with my clients and has acted as a checklist for them to make sure they too, are addressing all the needs of their various projects. In addition it has been very helpful to folks who are new to the process and donâ€™t even know the questions to ask in order to start visualizing howÂ a production will be put together. This week we took it one step further and incorporated the online version into an editable pdf, that can be emailed to someone to work on over time rather than having to do it all in one fell swoop online. So we thought we would go ahead and share it. Granted this Estimate Request Form is very much geared to our particular workflow and shooting style. If we shot Architecture or Sheet Metal (automotive) this form would probably look very different. But heyâ€¦ whats to stop those who do, from taking this and moulding it to their own specialty or workflow? We also hope this will be helpful to Art Buyers / Producers or Creatives to gather all the details they might want to relay to us in their RFPâ€™s. Again every unique project will usually require a couple follow-up communications, but for us, this goes a long way to eliminating the MULTIPLE â€œjust one more question for youâ€¦â€â€˜s as well as helping to educate those who may be doing this for the first time. The post The Photo Estimate Checklist… appeared first on Dana Hursey Photography Blog.